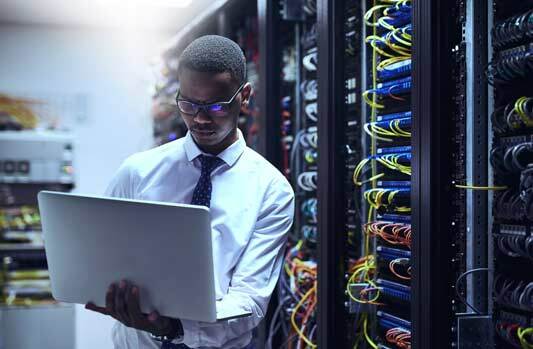 Hardware Management Consoles (HMCs) are used by system administrators to manage/maintain Power Systems servers from a hardware perspective, as well as manage PowerVM LPARs (logical partitions). The management of the hardware is independent of the operating systems, including AIX, IBM i, and Linux. Almost all Power Systems customers have HMCs, and they use them regularly. Recently, at the Power Technical Universities and IBM education series, there have been presentations on the plans and directions for the HMCs that manage Power Systems, of which you all need to be aware. First of all, the HMC runs a version of Linux proprietary to IBM and unique to the HMC; there are x86 HMC appliances; there are IBM POWER-based appliances; there is the virtual HMC (code) that can run on x86 servers or on IBM Power System servers in VMs (but you cannot manage the server that the virtual HMC is running on); the virtual HMC code is required to run on RedHat LE Linux in the VM (which implies only to POWER8 or POWER9 systems); the HMC code version must be equal to or greater than the server micro code that it is managing; the latest HMC code only runs in the Enhanced User Interfaced mode. In the current IBM plan, HMC code level 910 is available now, and 920 will be available 3Q2018 to support the POWER9 Enterprise systems. These releases will run on Power or x86 HMCs. The current CR9s are no longer available for new order, but the new HMC based on Power, designed for the CR1, is available and has a lower price than the previous CR9. HMC code 910 and 920 will be the last x86 supported releases on x86-based HMC hardware appliances. HMC code 930 is planned for 3Q2019 and will be ppc64le only. This plan means that customers must start planning to move to POWER-based hardware HMCs, either an HMC appliance or a virtual HMC on a POWER8 or POWER9 system, or they must move to the virtual HMC for x86 support. This can be a significant change for Power Systems customers. Mainline, an IBM Platinum Business Partner, has a very large, perhaps the largest, Power customer base in the United States, and we have the skills to help you plan this transition and answer questions you may have. Check out how Carhartt improved performance and decreased cost with an upgrade to Power Systems and All-Flash storage.